wait did you move to LA? I have to walk a dog in Chelsea wanna come by? Heyyyy it’s Ben … sorry to leave a voicemail, I really hate it when people do that buttttt …just wanted to see what you were up too this weekend and next week … we’d talked about getting picklebacks at that place in Williamsburg(?) so I guess just … let me know? 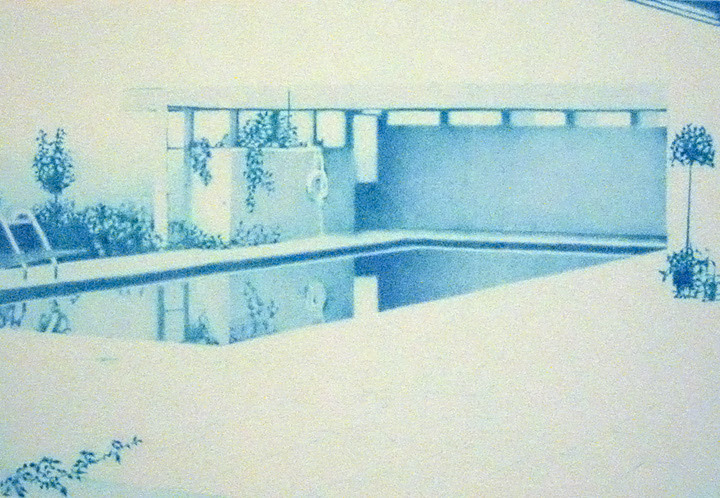 ARTWORK: “POOL” BY ROBIN TREADWELL.